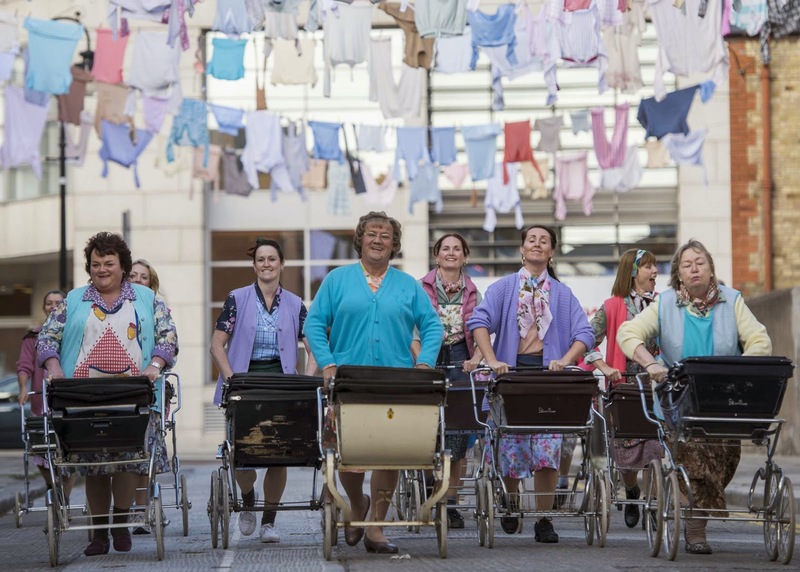 Mrs. Brown's Boys big screen outing is d'flating, d'pressing and, for the most part, flat out unfunny. Yet, despite what hyperbolic reporting may lead one to believe, this is not exactly the d'sasterpiece its made out to be. Casually racist, misjudged, and cloyingly mawkish for sure - but this is purposeful, and by design. Brendan O'Carroll, the auteur behind the franchise, has sculpted the exact film he wanted to make and one he knew would prove popular with hordes of appreciative audiences. That he has an evident love and warmth for his characters is never in doubt either - there's not a shred of the calculated, clinical cynicism possessed in abundance by Keith Lemon: The Movie or Godzilla, for example, but rather an organic expansion of the much-loved small screen character. In many ways, O'Carroll could be Ireland's answer to Tyler Perry - a brazen populist, abhorred by critics but loved by the mass market. Mrs Brown is his Madea. The plot, for what it's worth, concerns Russian mobsters attempting to purchase the market where Mrs Brown (O'Carroll) works. The Irish political elite are in the capitalists' back pocket and, via a conflict of interest, attempt everything in their powers to sell off the row - Mrs Brown, despite a hereditary tax bill of millions, becomes an accidental local hero when she stands up to the local bullies. Alas, her own background is scrutinised; their are skeletons in her closet she has kept hidden from her family of which she is ashamed. With the full weight of the Irish judiciary system, Russian gangsters and her own wounded pride, can Mrs Brown find the strength to fight the good fight? Especially when her backers are a bunch of incompetent misfits and blind ninjas? The jokes which string the film together consistently miss much more than they hit - one of the protagonists, we learn, is a former member of the IRA and attempts to get the "old unit" back together. We meet Mr Wang - O'Carroll squinting and shrieking "Harrow!" And, as previously noted, there is a squadron of blind ninjas; their inability to see, we are led to assume, is hilarious. O'Carroll doesn't so much look for the lowest common denominator humour but limbos underneath it and then dumbs it down some more for good measure. Yet, despite an almost surreal level of anti-humour and a climatic courtroom scene which is so saccharine as to induce diabetes, one struggles to completely write-off Mrs Brown's Boys D'Movie as entirely irredeemable. The film is sincere and authentic - it may be terrible, but it is sincerely terrible and follows, to a "T", the vision of its creator. In a way the earnest commitment to imagination is wholly admirable. An awful film, indisputably, but one made with heart and warmth. A rare movie which is as poor as its spirit is laudable but ultimately, however, one for the fans only. Maybe you'll wish that you could have handled it as well as the film character and it will inspire you. That has actually happened to me and it can be a very powerful image to carry with you.